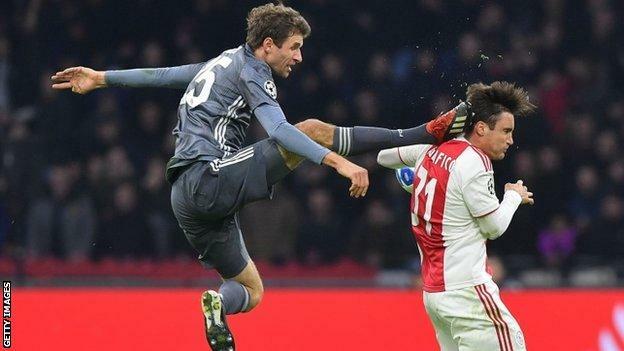 Muller, 29, was sent off in December's 3-3 group-stage draw with Ajax for kicking Nicolas Tagliafico in the head. The German - who has scored 42 goals in 107 Champions League appearances - has appealed against the decision. The sending-off was the first of Muller's career and after the incident he posted on social media: "I would like to apologise to Nico Tagliafico for the incident. It was unintentional. Get well soon."